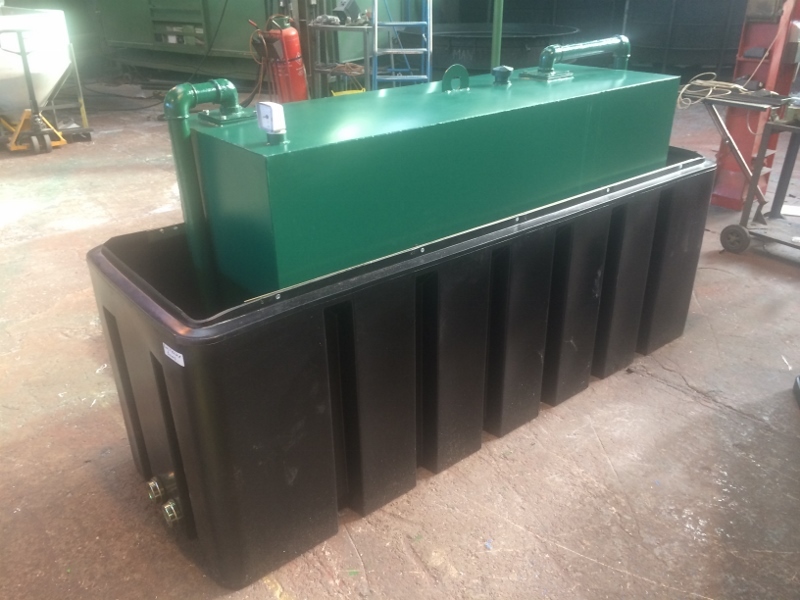 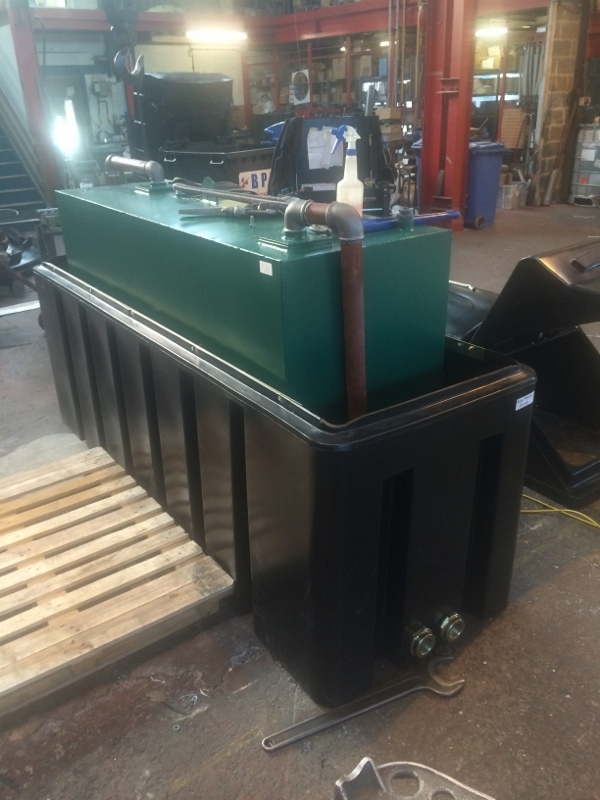 A local engineering company based in Staffordshire has recently ordered a number of bespoke storage tanks to store Nynas XP 12-1 Rejuvenator liquid; a specially developed oil for the Regeneration of Recycled Asphalt, also identified as a distillate (petroleum) hydrotreated heavy naphthenic. 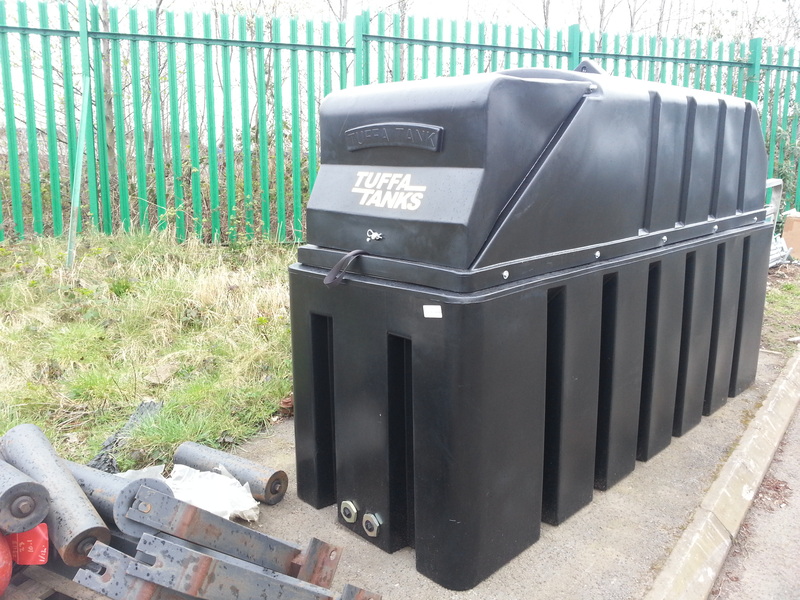 The bund used was that of a 1350 litre bunded plastic storage tank. 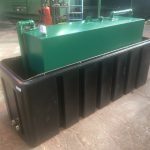 The tanks are used for an additive which Tarmac purchase and mix in with the asphalt/tar to enable them to make tarmac at a lower temperature, saving them money. 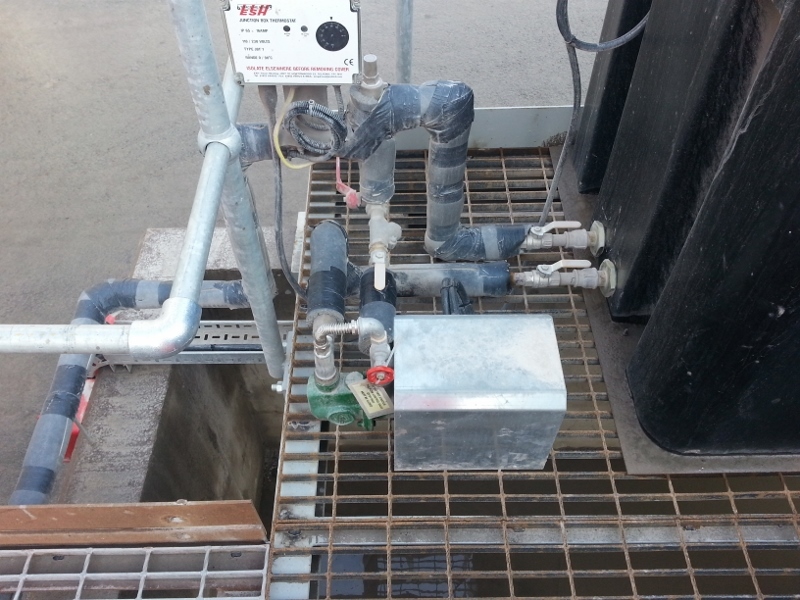 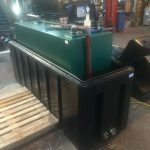 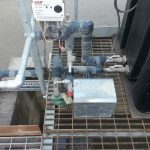 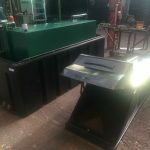 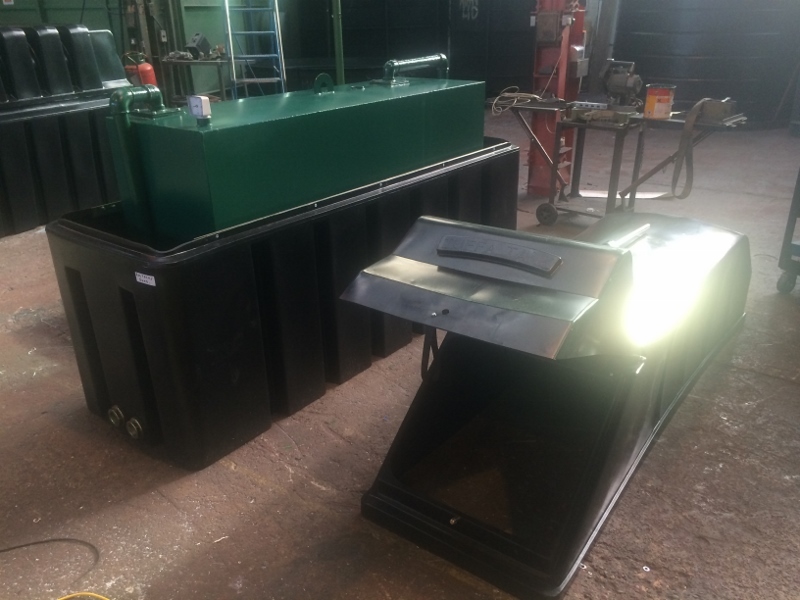 The images below show the plastic bund and the steel inner tank during the manufacture process and also the finished product on site connected up. 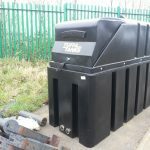 For more details or for a quotation, please complete a website enquiry form or alternatively call us on 01889567700.